This is actually 2 complete sets of flash cards. 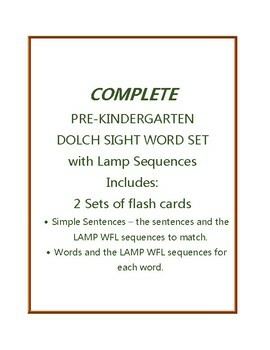 The first is a set of Dolch Pre-K sight word sentence cards. The second set is just the word. 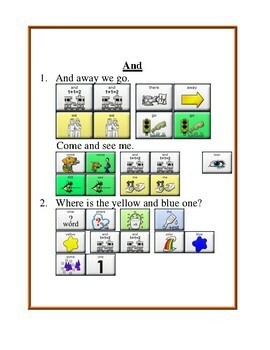 All of the words used in the sentences are from the Dolch Pre-K sight word list. 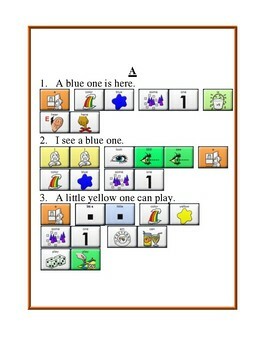 These are simple sentences that use the same 40 words in repetition. The LAMP WFL sequences for each sentence is included. 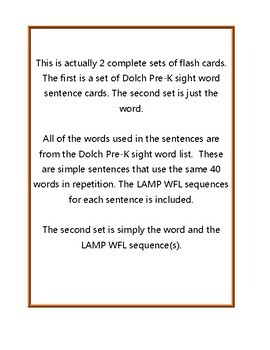 The second set is simply the word and the LAMP WFL sequence(s).